** Happy Memorial Day! 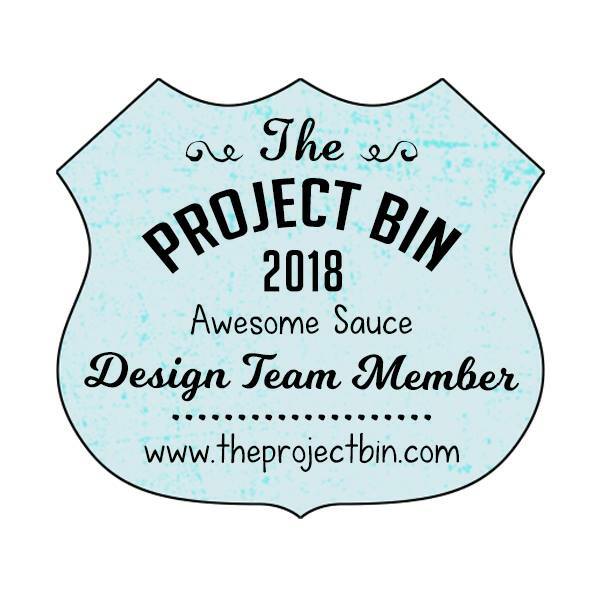 ** Fresh Brewed Designs Give-away! If you are looking for the current Freshly Brewed Challenge: please go here!! Heather, owner of Fresh Brewed Designs, created this image in honor of Memorial Day. She writes: "His name is Daniel: God Bless America. This little boy is a reminder that freedom is not free. He is what the mother sees when her son leaves for war, what the daddy sees when he returns and his son tries on his uniform and says "Daddy I love you" and he is my way of Thanking every service man and woman for all they do. She is generously giving this image away to several surprise people this weekend! All you have to do is comment on this post. If you have created a card for the challenge already, have two chances. If you leave ANOTHER comment letting us know you grabbed the challenge badge on the sidebar and have linked it back, you have 3 chances. If you or a loved one is or has been in the military, please share something special with us about it in a separate comment. That gives you ANOTHER chance to win! "I do hope you love little Daniel as much as I do. Have a Beautiful and Blessed weekend. You have until Monday night to get in on the fun and win this image. ** Also, this image is part of a set being released in July and WILL NOT be in my shop until then. If you want to purchase the image before then, just send me an email and we will work it out." Now hop on over and see the creations using "Daniel - God Bless America!" Happy Happy Friday to you! I hope this weekend brings you lots of wonderful-ness ;) Today I bring you another card from Sugar Creek Hollow's Fabulous Friday ~ the DTs challenge this week was to make a recessed window card. My first one! And I love, love this style card! Mine is a little less vintage and more girly ~ I wanted to use the SCH graduation image for this card going to the daughter of a super close friend of mine! Her "little girl" is graduating 8th grade and moving on to High School - pink being her favorite color and school colors are red & white, so I had to give her school colors a little "shout out!" And here it is .... Happy Graduation Day! Be sure to stop by and see what the SCH DT Recessed Window cards look like! You will simply adore each and every stunning creation. make a project featuring a Scripture verse of "praise." Although I can't wait to craft with the beautiful digi I won on the Opening Day blog hop (take a peek at her digis here), I decided to use the digi that Deedee is giving away for free on her blog - take a peek! It was PERFECT for the person I'm making this little altered notebook for. At my son's preschool, there are many "helpers" that are often overlooked and I try to pick up little things here and there to accompany a gift card as a way of saying thank you for all you do! This is a notebook that I picked up at the $1 bin at Michael which was super cute - I even found matching notecards :) But I altered it using this fabulous verse from Psalm 9:1, perfect for those who show their love for Him through their work! Using lots of ribbon, I anchored the ribbons to the side in a multitude of colors, drawing from the color palette of the DSP. A little bright and whimsical, but she's a wonderful 17 year old high schooler volunteering her community hours to work with our children. Integrity's Hump Day Inspiration #13! Although it's time to say farewell to Inktegrity where I have been extremely blessed to serve on the DT for two terms ::: squeals and claps hands! :::, there is exciting news from Inktegrity! The sweet Joni will be taking a little hiatus for the summer to focus on her family and her brand new dot.com store! She will be back in the Fall bigger and better but not to worry! Her store will still be open in the meantime and you'll be able to scoop up her generous freebie offerings, but this will be our last challenge - so hop on over to the Inktegrity Challenge blog and play along - she is generously giving away freebies! For the DT term ending, Joni makes an image for each of the designers per their request - you met mine, Miami the Seashore, last DT term :) This was Lelia's request - a beautiful tree in two different styles. Make sure to check out the blog for some awesome samples! Now hop on over and take the challenge! Love + Hugs + Blessings! Speaking of my son, this is his last week of Pre-K 4. Next year he moves up to "big boy school - Kindergarten!" He is going to miss his class, his friends, the blessed teachers and staff that have touched our lives in so many ways. This morning was their end of the year awards ceremony and you could just hear the excitement and joy buzzing around the big chapel. I am sooooo incredibly surpried, and humbled, that out of all the students (from 2 y/o's to Kindergarten) they chose a student each year to receive the *Joshua Award* ~ and they called his name! It was so unexpected, I didn't even have my camera! My friend, thankfully, took this on her i-phone and everyone gave him a standing ovation and big cheers. I'm soooo proud of my little guy! My card for you today is from Sugar Creek Hollow called Mama's Apron Strings. This week's SCH Challenge was to make a card using our favorite image. This is definetly tops in my book! I love, love, love to cook and find my happiest moments with my family center around the kitchen. And yes, I wear aprons, lol .... saves wear and tear on the clothes and saves on the laundry, ha ha! Would you like to see what the rest of the SCH girls have made for you today? Take a look! You won't be disappointed! Image: Sugar Creek Hollow "Mama's Apron strings"
Have a Ghoulish Birthday with the BBB - Burtonesque style! at The Busy Beauties Boutique! Our new images are inspired by the Tim Burton classic, "THE CORPSE BRIDE", and BBB illustrator Thomas Goins has really outdone himself with these amazing images! We thought they would be right up the Dolls' alley, so we invited them along for the hop *and* are super excited to announce that Busy Beauties will be sponsoring their challenge next week! 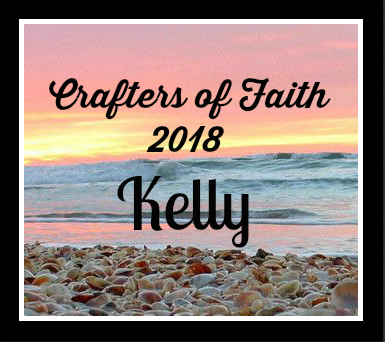 I'm Kelly, the beginning of the hop, but if you get lost along the way, click the links below and it will get you back on track! And you'll definitely love the hop ~ we have prizes so fab, it's freaky! Be sure to hop along and leave lots of comment-love, because there are TWO Secret Beauties or Dolls along this Burtonesque inspired hop… and TWO winners will be selected from their blog comments to receive 5 (yep, FIVE) Busy Beauties images of his/her choice! So whether you are in the mood to be beauty-ful or get funky, we've got you covered. My card for you actually is the image released during the last hop, but I am bringing it back - ghoulishly fun and eerily yummy! My mom is a former wedding designer/planner and you know!! This cake ISN'T that far off, lol ..... she had many requests for Black and White cakes . In fact, it was quite the trend for awhile! I would see her baking, then icing the cakes and couldn't figure out for the life of me why anyone would chose B & W (a color combo I admittedly struggle with BIG TIME (instant migraine for me!!)) but when they were done ..... OH. MY. WORD. Simply STUNNING! So on with the hop! You are here, so next you should head over and see the amazing Suzi's blog and see what she has for you to see! At the end of the hop, which is also your NEXT STOP, the new Busy Beauties Creation Station CHALLENGE is waiting for you. It's a sketch challenge provided by PaperAddict Catherine, who is a member of both the Busy Beauties and The Burtonesque Dolls DTs. We hope you'll play along! You have until 11:59 EDT on June 2nd to link your creation at the Creation Station. In the meantime, we hope you'll have fun hopping and find lots of other-worldly inspiration! Enjoy the show! Card entered for consideration in: Papertake weekly - flowers! And for more inspiration, check out the wonderful creations the DT has made! So back to my card!! Isn't he a cutie! This digi stamp image is brought to you by the uber sweet and amazingly talented Heather from Fresh Brewed Designs. He's Desert Fiesta! And you can find him here! And did you know that FBD is the sponser this week for Stamp, Scrap & Doodle Saturdays? This week, the challenge is to create a masculine card! Check out the challenge here! Heather is generously giving away 3 images of your choice to the winner! WOW! Entonces amigas! I hope you get the chance to play along this week! 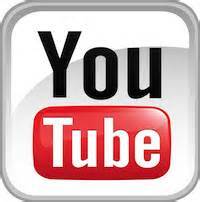 Click on the links above and they will take you to the challenges and the FBD shop! A-hoy!! Hoist yer sails ~ It's KitCat Sunday!! Heehee! Happy Sunday to you ~ it's a happy one to bring you the KitCat from our sweetie pie hostess this month, Michelle! She sent us this super fun, fab-tastic kit to play with! Shiver me timbers, it was full of fun-ness! And did you know why pirates are so mean? Fabulous Friday with Sugar Creek Hollow's ~ Color Combo! I used a layout from the archives from SSS45 with a little twist of ribbon & flower. This gorgeous flower pot image is so versatile! I paired it with some Parisian Breeze DSP from SU, some blue bayou ribbon (sooo happy to find a smidgen of that in my stash!) and added a row of circular flowers per the sketch. And how exciting - the store is expanding!! Thanks to you, our loyal customers, we are growing ~ make sure to stop by and take a look! Make sure to check out the DT to see what inspiration they have created! 2. PaperPlay Challenge - Brown and .....! "Behold! I stand at the door and knock"
But there's more ~ Inktegrity's Hump Day Inspiration wants you to play along! You could win some free digis! Here is a sketch for you to play along with ~ link it over to the Inktegrity blog, labeled IHDI#11 ~ remember you can flip it, rotate it, and mostly have fun with it! Be sure to check out what the rest of the DT have made for you to see ~ enjoy! Card deets: Image and sentiment: Inktegrity, cardstock by SU! Real Red, Cameo Coral, Bermuda Bay, and G-P White, DSP = Daisy Bucket, Fiskars Punch, Cuttlebug, nesties, American Craft Button, Bazzill embroidery thread (vanilla), Tombo. Look who is up and has a smile!! I'm absolutely rejoicing at the rebirth of health and the progress of recovery! After a tumultuous trial of heartbreaking illness, we are on the road to wellness! As of TODAY, his levels are on track, the drs are absolutely astounded at how fast he is bouncing back, 100 times faster than he should and are in disbelief how his body turned around on a dime! Praise Be to God! Thank you all from the bottom of my heart and I can't thank you enough for the prayers, for your uplifting and encouraging words. I am overjoyed with the support I have had from everyone and everywhere - from friends near and far, local and cyber, I have felt your love and power of united prayer! In my darkest hours, sitting vigil by his bedside, telling him through the multitude of tears to just keep fighting, I felt His presence and know He is a miracle working God. Without wavering, let us hold tightly to the hope we say we have, for God can be trusted to keep his promise (Hebrews 10:23). And this past week as I was paralyzed with fear and filled with worry to stand strong on the faith in God's power and mercy and grace ~ nothing is impossible for Him and we have this blessed new chance ahead! Now to accomplish the next hurdle - eating after 12 days! 23 pounds lighter (of which he didn't have to lose anyway), we are hoping to avoid a PIC Line for IV therapy & antibiotics but know whatever lies ahead is what is meant to be ~ and we'll tackle it together, united. "Do not be afraid, for I have ransomed you. Be blessed, always, as He has so richly blessed us!